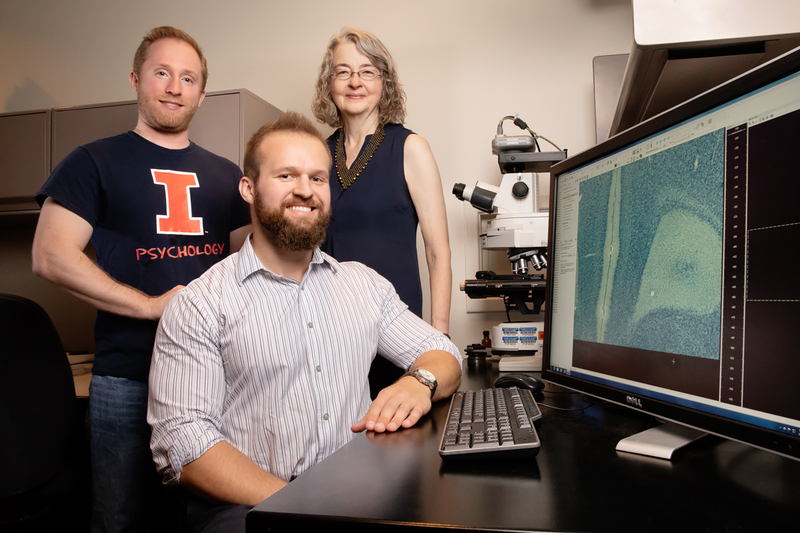 Scientists, including, from left, postdoctoral researcher Jari Willing, former graduate student Daniel Kougias, seated, and psychology professor Janice Juraska, found that perinatal exposure to phthalates caused cognitive and neurological deficits in rats. Kougias is now a scientist at Cardno ChemRisk. CHAMPAIGN, Ill. — Male and female rats exposed in the womb and during lactation to plasticizing chemicals known as phthalates had significantly fewer neurons and synapses than those that were not exposed, researchers report in a new study. The phthalate-exposed rats had reductions in the size of their medial prefrontal cortex, a brain region that regulates behavior, and showed deficits in cognitive flexibility. 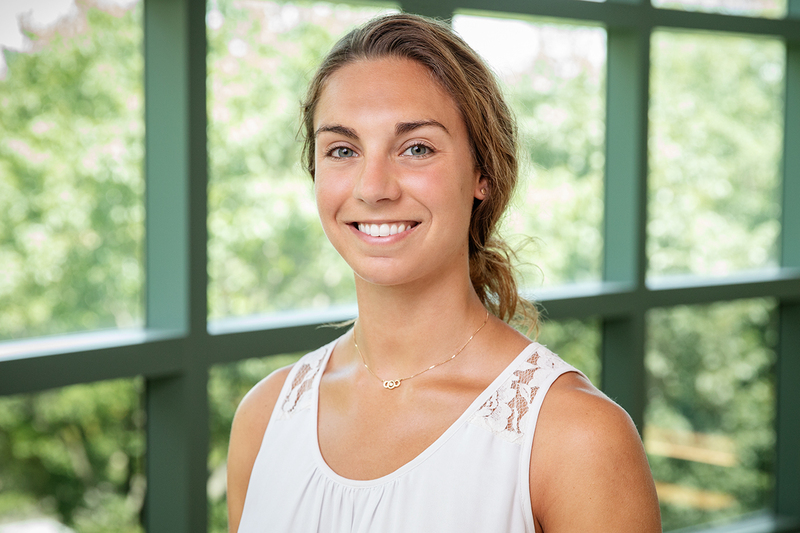 The variety of phthalates and quantities used in the study were environmentally relevant to human exposures, said University of Illinois psychology professor Janice Juraska, who led the research. 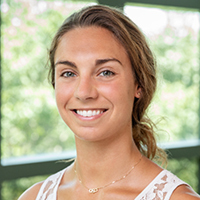 Graduate student Elli Sellinger contributed to the study. Research has shown that phthalates readily cross the placenta to expose a developing fetus, and that they can be delivered to offspring via lactation, Juraska said. Because these chemicals can disrupt normal hormone signaling, their presence in infants and children is of special concern. The developing brain, in particular, is susceptible to hormone disruptions. Several studies in humans suggest that prenatal phthalate exposure may negatively affect children’s behavior, their ability to regulate their own actions and the incidence of neuropsychiatric disorders, she said. The pregnant rats in the study were each assigned to one of three groups – two of which were exposed to differing concentrations of phthalates during pregnancy and lactation, and one, a control group, that was not exposed at all. The researchers tested how well the offspring learned to use visual and textural cues to navigate a maze, and examined the relative development of their brains once they reached adulthood. Juraska is an affiliate of the Beckman Institute for Advanced Science and Technology at Illinois. The National Institute of Environmental Health Sciences and the U.S. Environmental Protection Agency supported this research. To reach Janice Juraska, call 217-333-8546; email jjuraska@illinois.edu. The paper “Perinatal exposure to an environmentally relevant mixture of phthalates results in a lower number of neurons and synapses in the medial prefrontal cortex and decreased cognitive flexibility in adult male and female rats” is available online and from the U. of I. News Bureau.